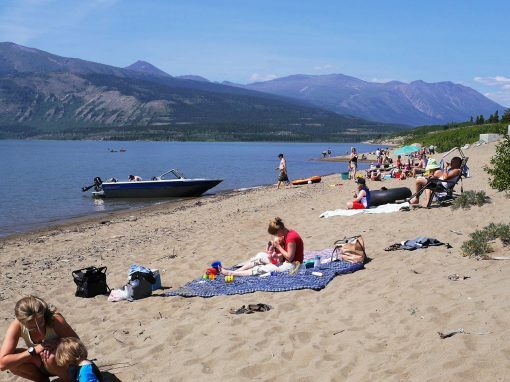 Welcome to the home of the Carcross/Tagish First Nation (CTFN). 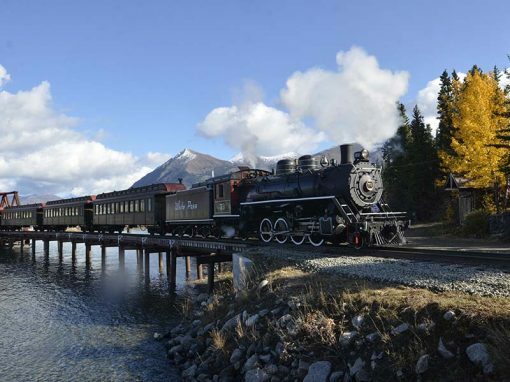 Whether you’re seeking scenery, adventure, or history, you’re sure to find it here. 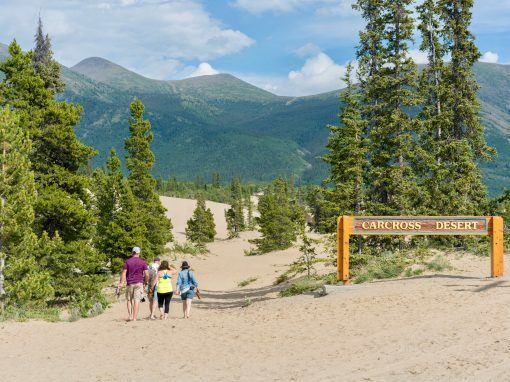 Explore Carcross with a self guided tour! 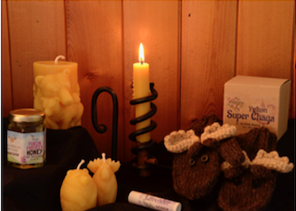 Specializing in locally made beeswax candles, fireweed honey and Wildcrafted Chaga teas and coffee. 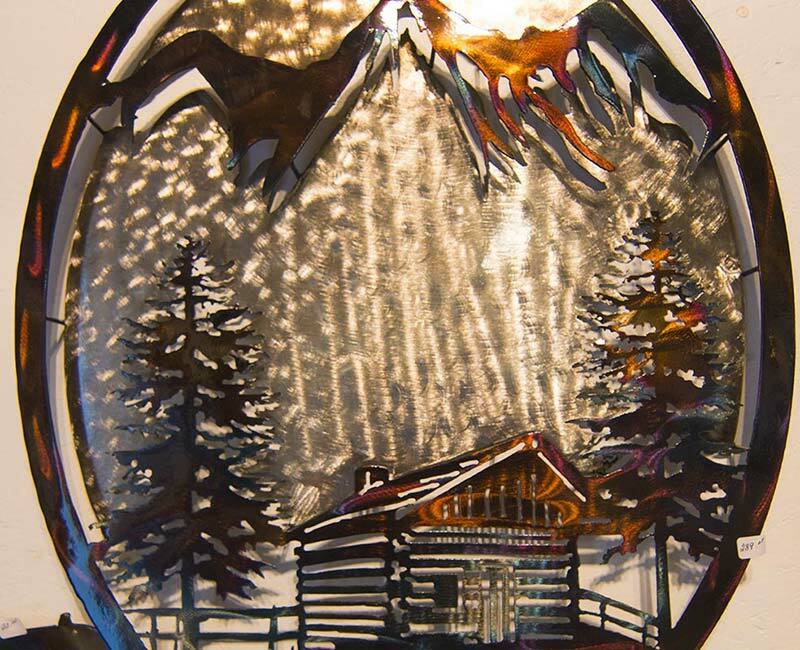 Find locally made metal sculptures with a distinctly Northern theme, handknits for those chilly Yukon evenings, and handcrafted wooden bowls from rigth here in Carcross. 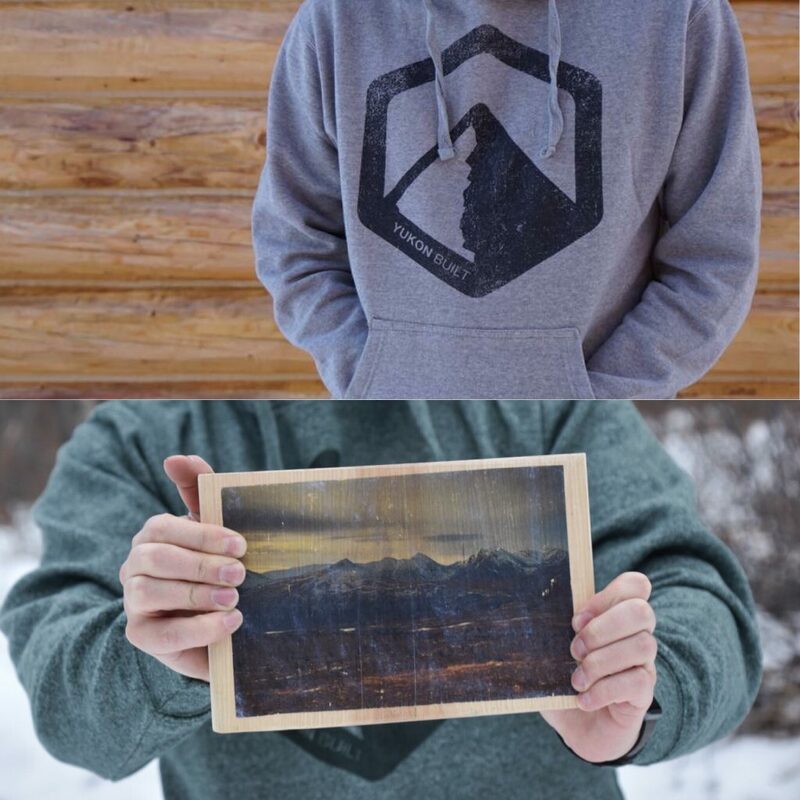 Yukon Built and Den Designs have joined forces to offer premium, Yukon-inspired clothing, and unique, handmade products using reclaimed wood, in one space! 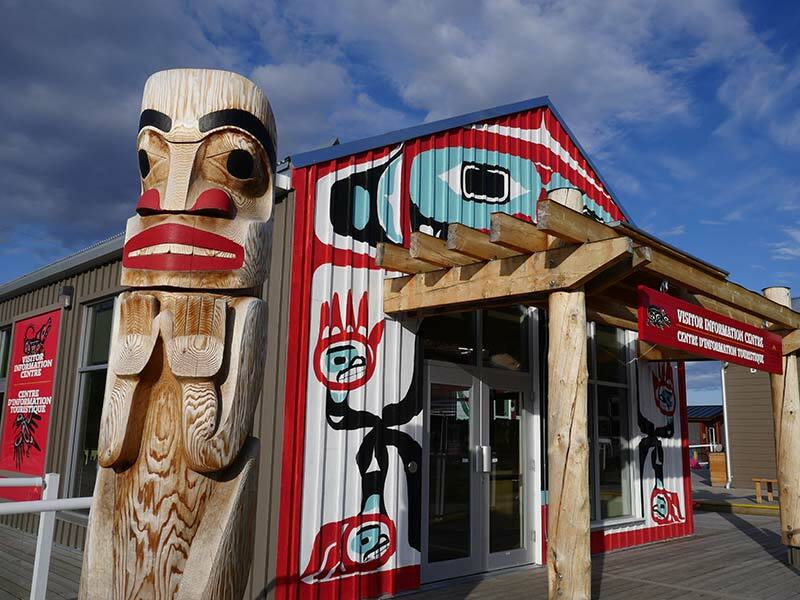 Make sure your stop in Carcross includes a woodie and a hoodie this season! Come visit our pop-up shop full of kits, bundles and patterns. Take home a wall-hanging made with Northern fabrics. We also stock a variety of small quilted items sewn at our main Whitehorse, Yukon Bear’s Paw Quilts location. 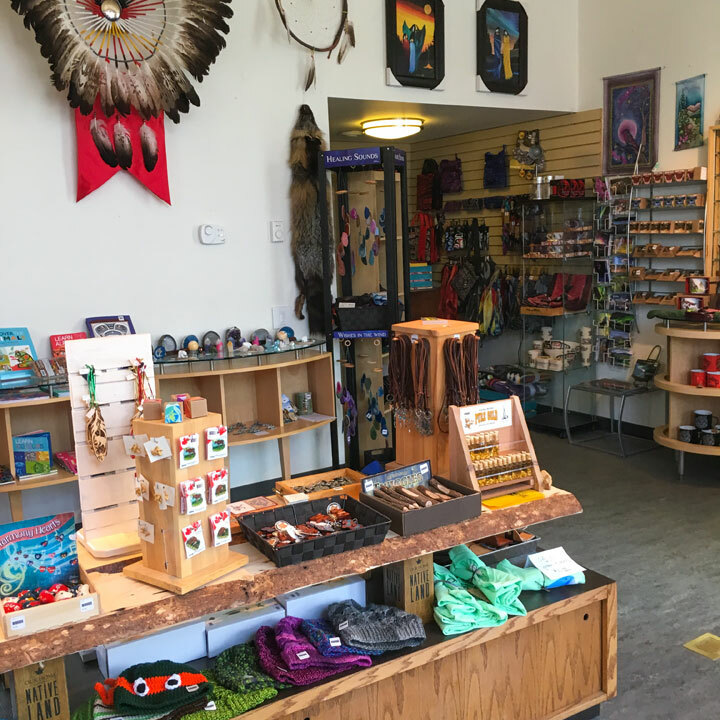 Our main shop in Whitehorse stocks a range of quilting supplies, has full size quilts for sale, provides classes, and compassionate care for the quilt addicted. 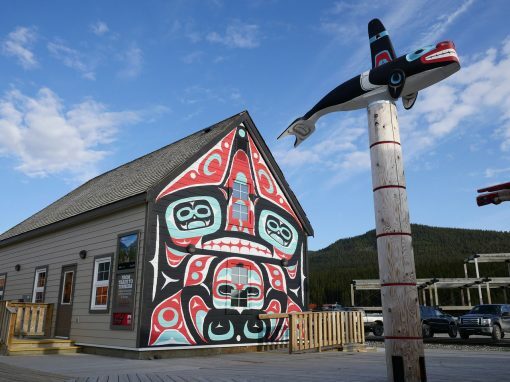 Bearpaw Gifts in Building C is a seasonal souvenir store in Carcross featuring a combination of souvenirs including unique items that have been hand made by First Nations artists in Canada and the Yukon. We also feature one of a kind and difficult to find clothing and accessories which will be appreciated both for their functionality and appearance. 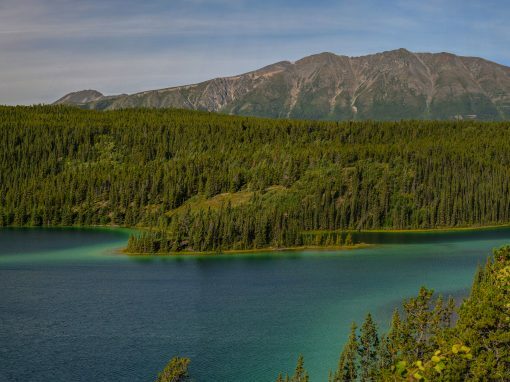 Enjoy an exhibit of historical photos featuring local First Nations culture and the epic journey over the Chilkoot Trail and down the Yukon River to the Klondike goldfields. (2nd floor) Parks Canada staff are on site to answer questions and guide you through the exhibits. 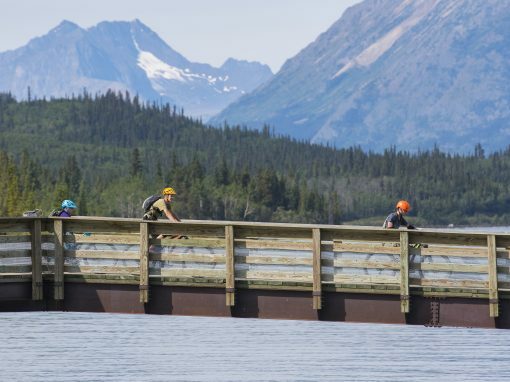 Bennett Camping Permits are available for purchase, and you can get up-to-date weather forecasts and trail conditions. To prepare for your Bennett Camping Adventure, you can watch the video “Staying Safe in Bear Country”. 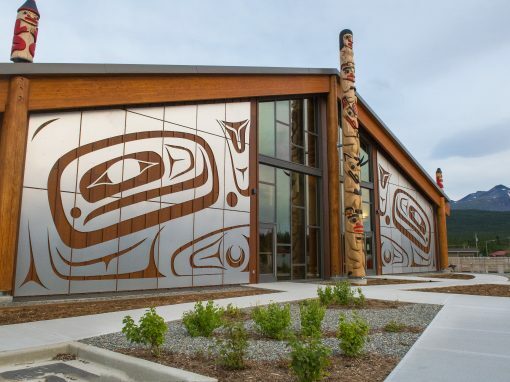 The Yukon Arts Centre in partnership with Carcross/Tagish First Nation, and Carcross/Tagish Management Corporation have created a visual art showcase, to promote Yukon art in Carcross. 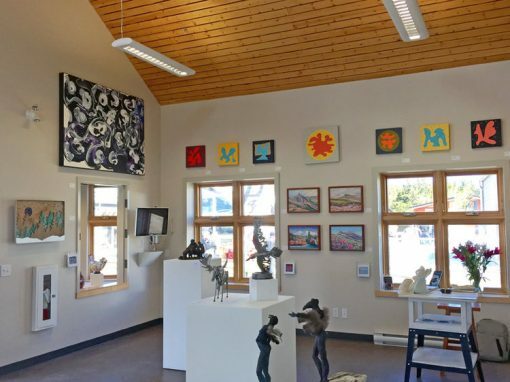 Supported by Yukon Government, Art House Carcross is a staffed venue showcasing select exceptional local artists to the hundred thousand visitors that come to Carcross over the summer season. Open from May 19, 2018. Follow the Art House Carcross on Twitter, Facebook and Instagram! This is the busiest visitor centre in the Yukon. Over 70,000 people pass through here each year. 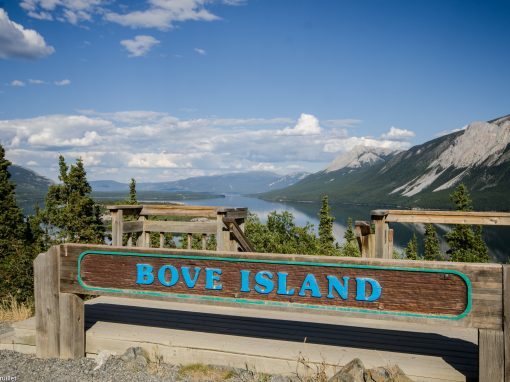 If you are looking for advice for what to do in Carcross or anywhere else in the Yukon this is the right place to stop. Opened May to September 30th, 8am to 8pm. 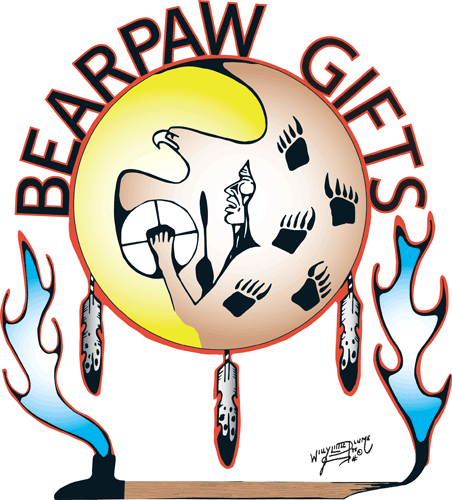 Local carvings, native made leather goods, local made wooden bowls, metal art made by the owner Ronald Berg. 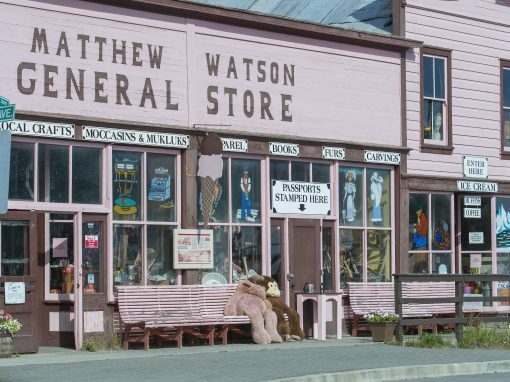 Soft ice cream, hard ice cream, jade jewelry, many different wildlife welcome signs, wildlife art and décor. 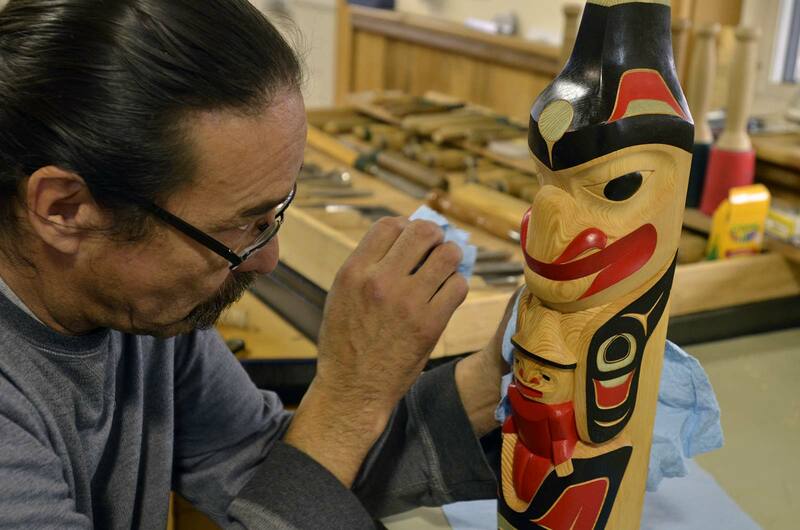 Lead carver Keith Wolfe Smarch heads the Carcross /Tagish First Nation’s carving program. 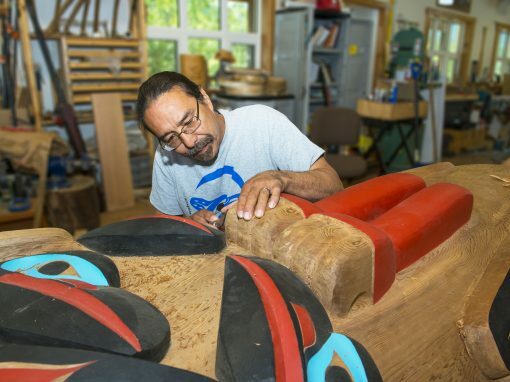 Junior carvers work on a variety of carved items, including large poles. 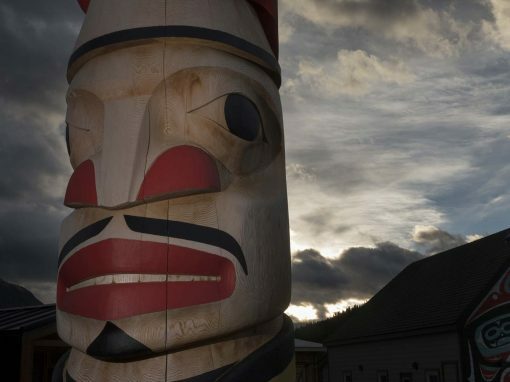 People are welcome to watch the carvers at work and learn about this art form. In 1990, the S.S. Tutshi was almost completely destroyed by a fire. The remains have been preserved as a memorial site. 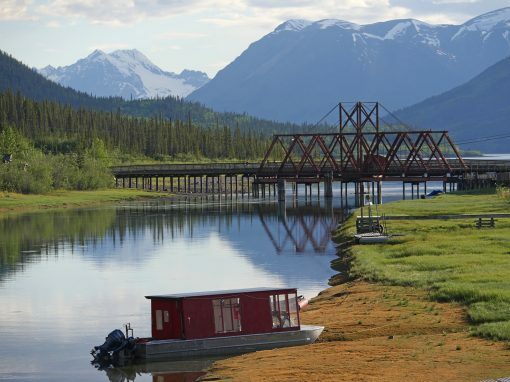 The British Navigation Company was established in 1900 and used steam-powered paddle wheelers to provide transportation between communities on the Yukon river system. 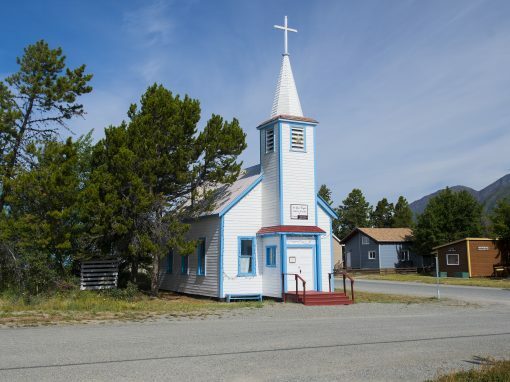 Carcross was the entry point for most travellers and the hub for the Southern Lakes area. 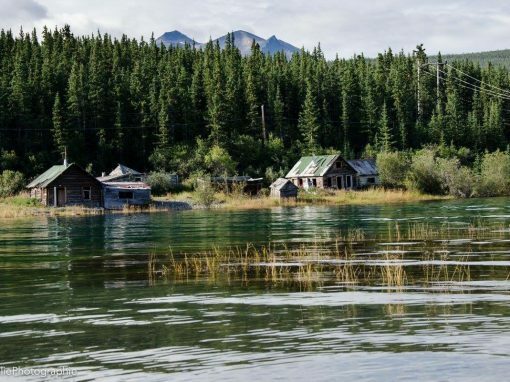 In 1917, the company launched The S.S. Tutshi – a luxury tourist boat for the region. 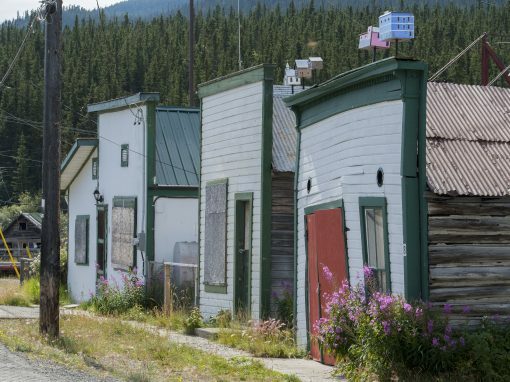 It had its heyday during the 1920s, but by the late 1950s it was dry docked and eventually purchased by the Yukon government to be restored as an interpretive site. 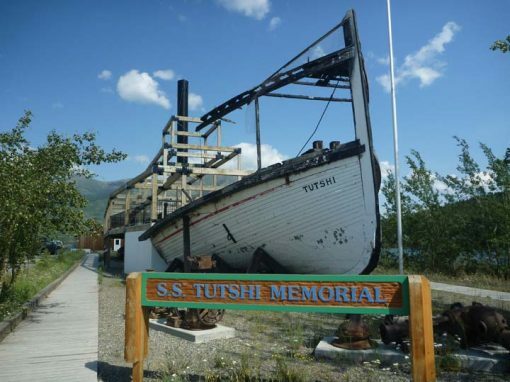 In 1990, the S.S. Tutshi was almost completely destroyed by a fire. The remains have been preserved as a memorial site. 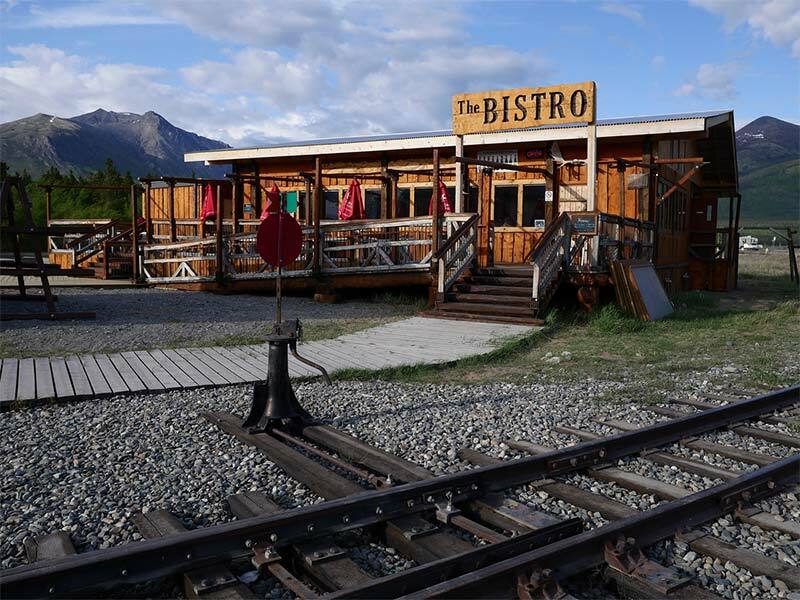 A unique eatery with local northern sensations and character! Items to stay or to go. Yukon Brewing draft beers on tap, baked goods, espresso, ice cream, and more! 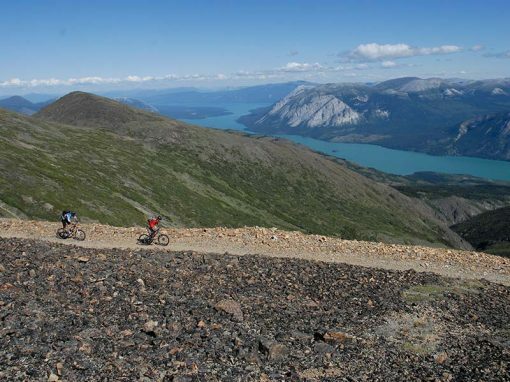 We are Carcross’ local bike and board shop. 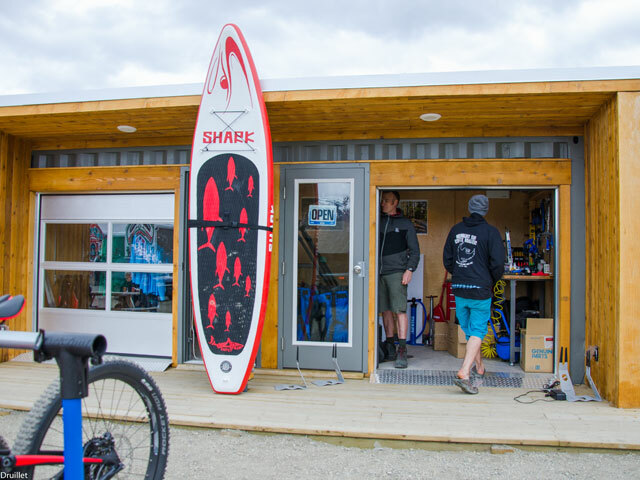 Mountain bike rentals, Stand Up Paddle board rentals, by the hour. Full bike service shop for all your emergency repair needs as well as all the accessories that you may have forgot at home or just realized that you need. 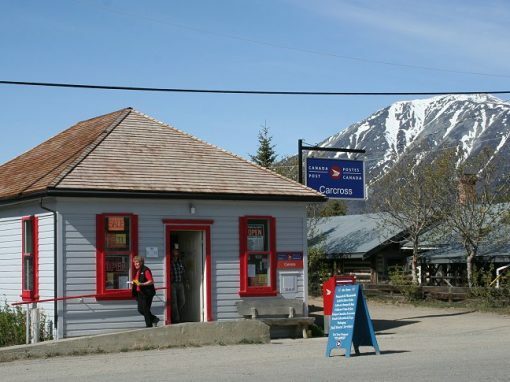 Helmets, sun glasses, gloves, flat repair supplies, jerseys, T-shirts, Carcross memorabilia, you name it! 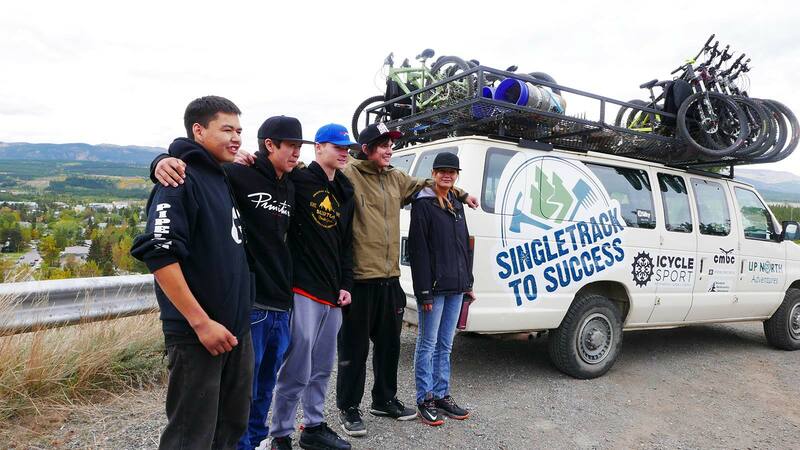 Support the Single Track to Success program with some exclusive merchandise and the S2S Support Pass. Opened Tuesday to Sunday, 9am to 5pm, May to September. 20 years designing and crafting with local material. Including various artists and myself. 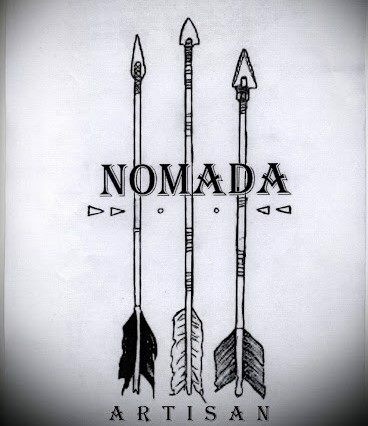 Jewelry, dolls, local minerals, leather work, clothing, traditional indigenous work from some other parts of the Americas as well. 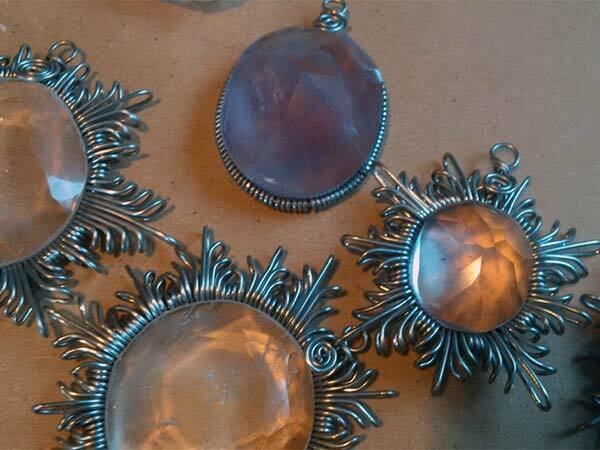 Always hand crafted, not in series, very unique pieces. Suppliers choose very carefully, supporting families directly. NOT MADE IN CHINA! 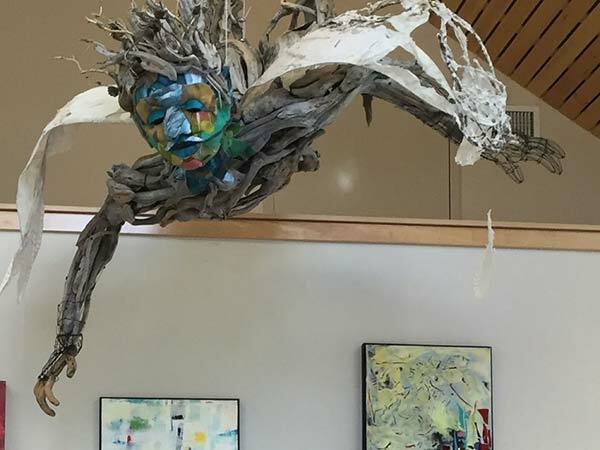 Mixed Media and Indigenous Creations by local artisans. 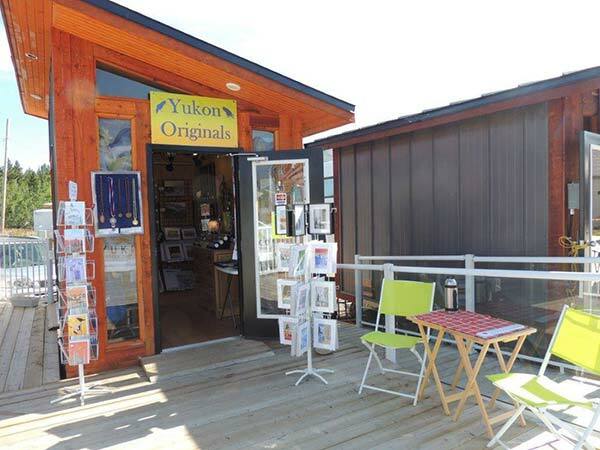 Handcrafted goods made in small batches by Yukon and Canadian artisans. 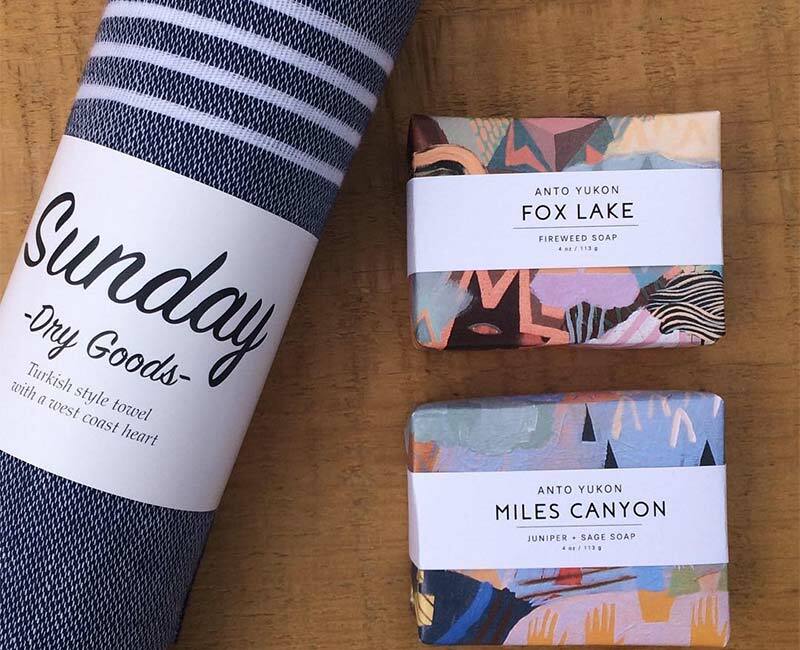 Full line of owner-created Anto Yukon natural soap and body products is featured in the shop. 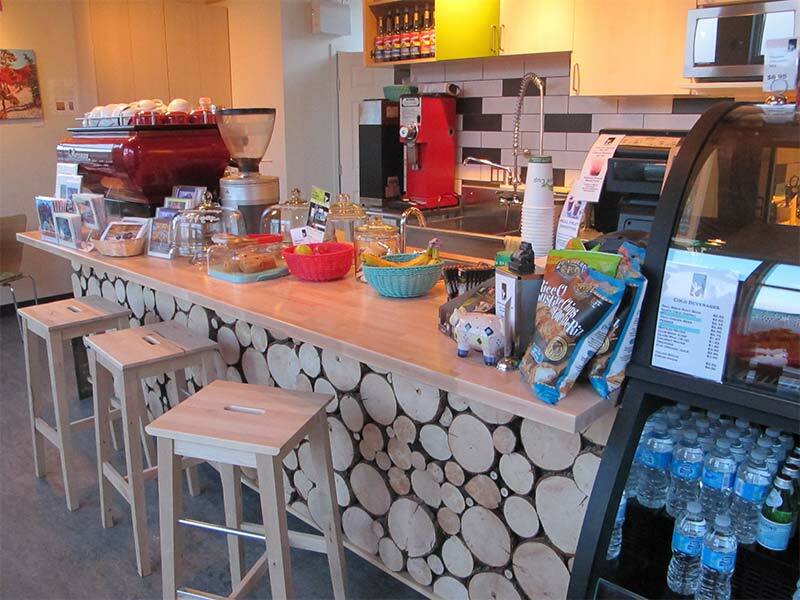 Creative and handcrafted fresh maple products. 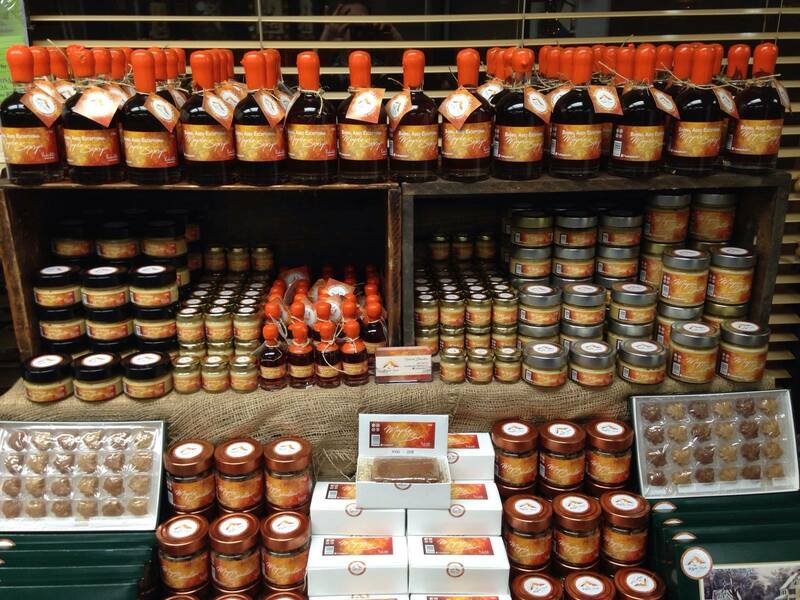 Locally produced, only using 100% pure maple syrup and local flavours. Year round maple taffy on the snow. 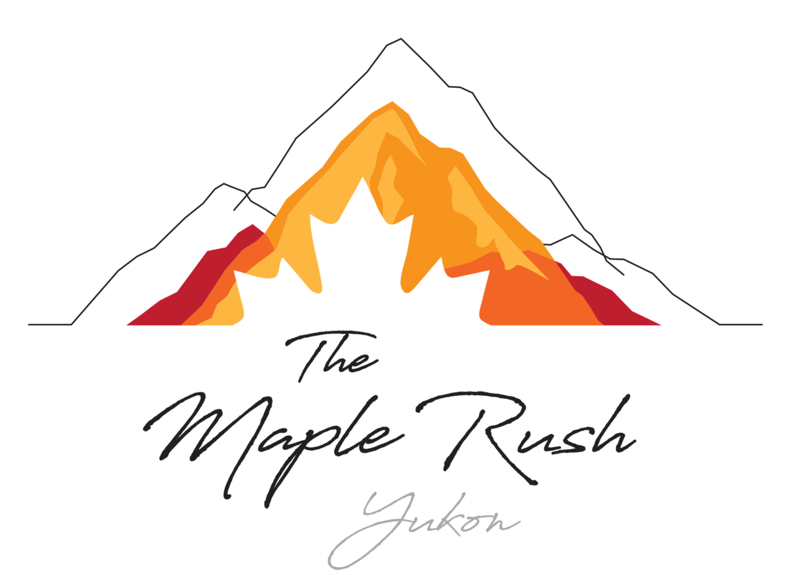 The Maple Rush is offering an unusual and wide variety of maple products, to enjoy either fresh or as the perfect Canadian gift. Visit us and enjoy a free sample! Original Fine Art One of a Kind Jewelry designed and made in Yukon by Heidi Hehn (with authentic natural stone/polymer clay/glass). 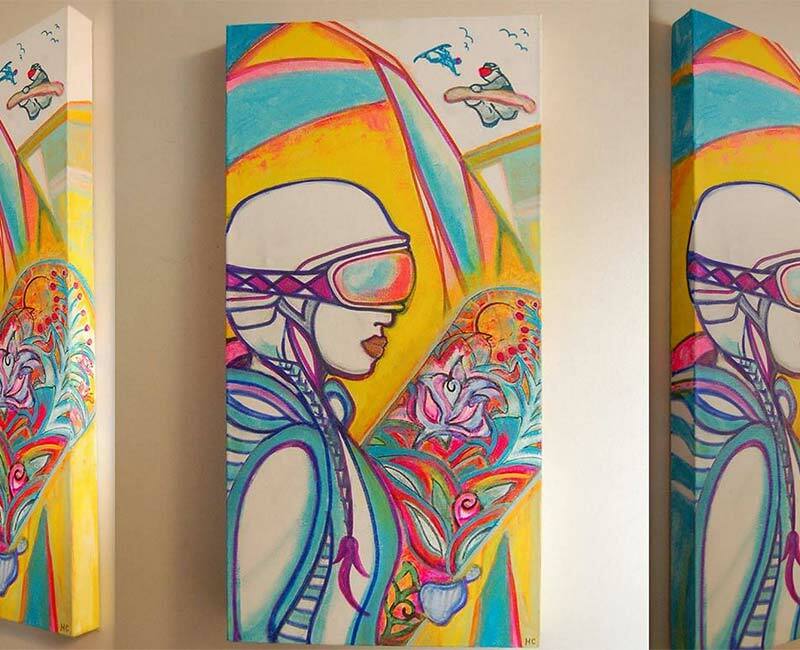 Postcards, ArtCards, Posters and Prints from the original paintings of Heidi Hehn. 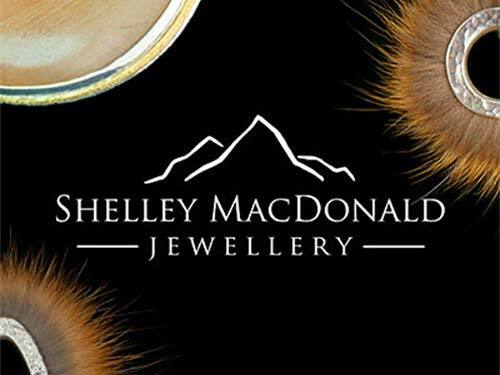 Based out of a small studio in Whitehorse, Yukon Territory, Shelley MacDonald Jewellery makes handmade and one-of-a-kind rings, earrings, necklaces and bracelets inspired by Northern Canada. 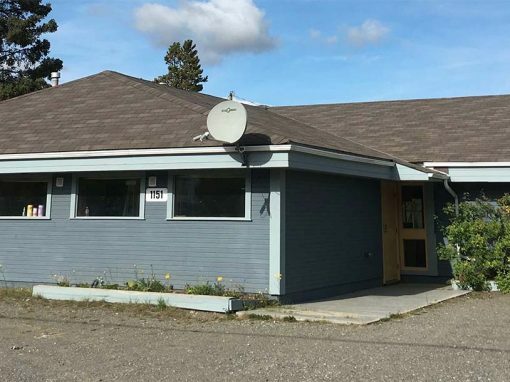 A beautiful little gem located in the “six- legged split tail beaver house” with a unique and welcoming atmosphere where locals and tourists alike meet over freshly ground coffees from Yukons own Bean North coffee roasters. We offer delectable espresso drinks- hot and cold-, excellent teas, Italian sodas and organic lemonades. We are THE place for gluten-free and vegan pastries, soups, salads and snacks. Homemade Italian pizza, pasta and grilled sandwiches, freshly prepared just for you.